One of the world's largest zoos, and voted the #1 Zoo in the World on TripAdvisor, the San Diego Zoo in Balboa Park is home to over 4,000 animals and more than 800 species of rare and exotic creatures. Explore realistic animal exhibits, from the forests of Africa to the Arctic, and meet polar bears, orangutans, elephants and tigers. 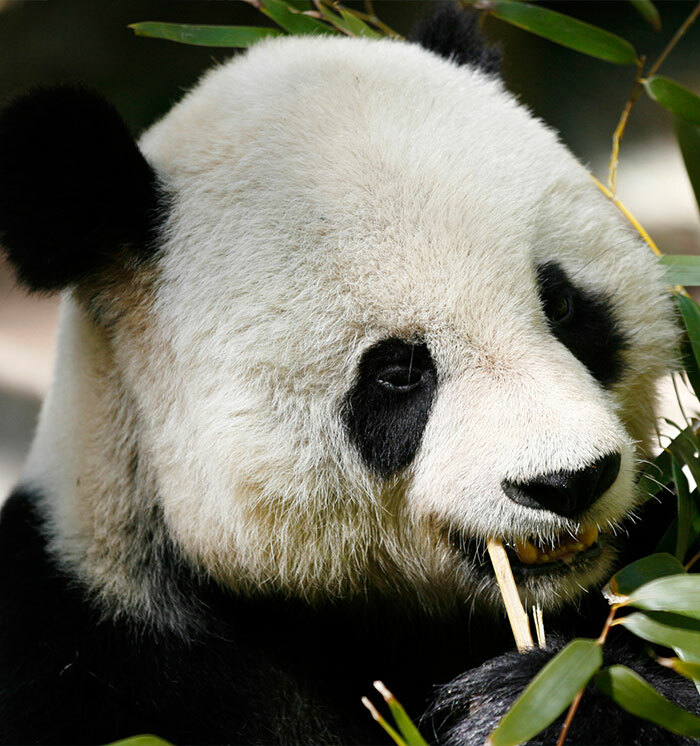 The San Diego Zoo is one of four zoos in the country with giant pandas and has the largest population of koalas outside of Australia. Visitors can get up close with everything from polar bears to Arctic foxes, jaguars and the largest living lizard in the world, the Komodo dragon. what types of benefits do zoo members receive? The San Diego Zoo offers plenty of exclusive benefits for its members, including unlimited admission, discount admission coupons for your additional guests, unlimited access to the Africa Tram Safari, unlimited access to the Skyfari Animal Tram and a ZOONOOZ Magazine subscription. can i bring food into the san diego zoo? Though the San Diego Zoo doesn't offer food storage facilities, guests can bring food into the parks. Coolers are not allowed, but there are picnic areas throughout the zoo where guests can enjoy their own snacks. The San Diego Zoo also offers several dining venues, including Alberts with open-air deck seating in the Lost Forest, Poppy's Patio, serving hot dogs, burgers, chicken sandwiches, Treetops Cafe, and San Diego Zoo Sandwich Co. Enjoy lunch at Sabertooth Grill serving fresh California cuisine overlooking the Elephant Odyssey and Hua Mei Cafe, offering Asian fare and beer.